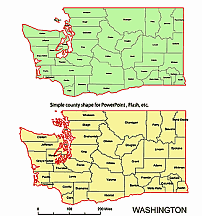 Editable royalty-free map of Washington, WA in vector-graphic online store. 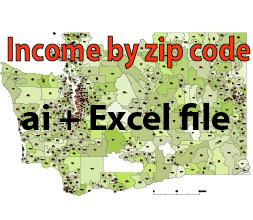 Each file is fully customizable with the ability to change the color, font of individual counties and states to suit your needs. Washington is a state in the Pacific Northwest region of the United States. It is bordered to the north by British Columbia, Canada, to the east by Idaho, to the south by Oregon and to the west by the Pacific Ocean. 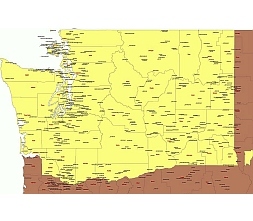 Washington State vector road map.